The story of our property refurbishment and building 2 extensions has been documented in a very haphazard manner in various posts. 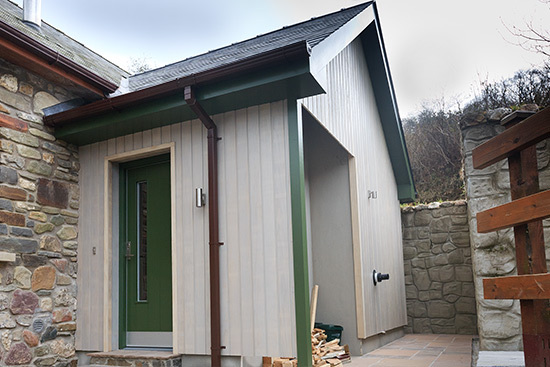 The photo above shows the new sun-room from the back; the wood cladding is Accoya, a preserved timber, that is meant to last for 60 years and is very stable in wet weather. The gutters will be replaced with something more sympathetic when we get round to painting the rest of the house! You can just see the new solar hot water panels on the far roof of the house. 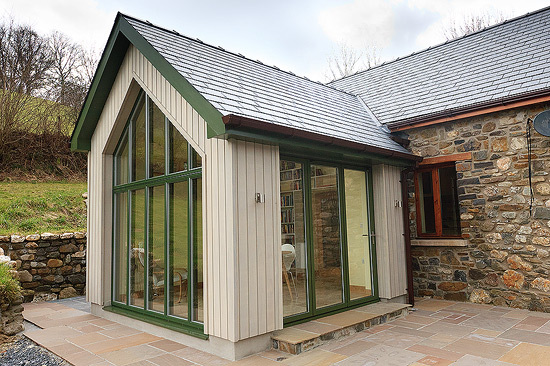 The windows were supplied by the Danish company Rationel Windows. 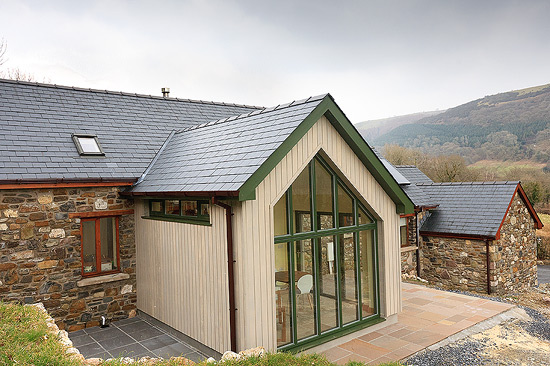 In view of the extreme weather in Wales we sourced the aluminium bifold doors from Solarlux in Germany. The new entrance into the new porch provides a storage area for coats and shoes etc. To the rear is the new utility room housing the boiler for the underfloor heating etc. There is an external log store. 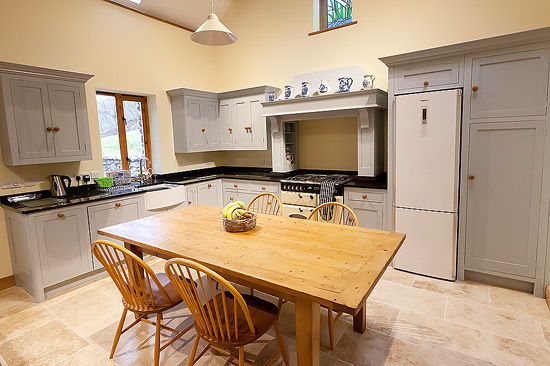 Barry Wade of Wade Furniture, a local cabinet maker, made and fitted the new kitchen for us. The living area had to have sufficient space for our Quad ELS63 loudspeakers made by Quad hifi in 1963! The office area above is accessed by the new spiral stairs. 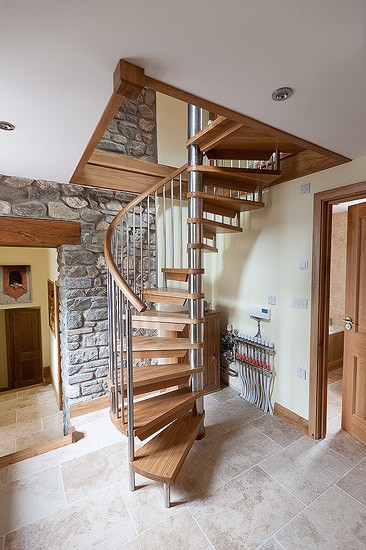 The Spiral Stairs were made by Woodside Joinery, Cwmbran. Their workmanship was first class. The underfloor heating manifold has yet to be ‘boxed in’ i.e. when John gets round to it! 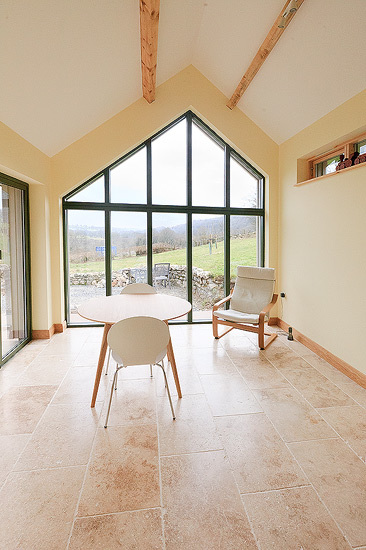 The sun room with its views down the valley has proved to be John’s favourite room. It is a lovely light, airy room. 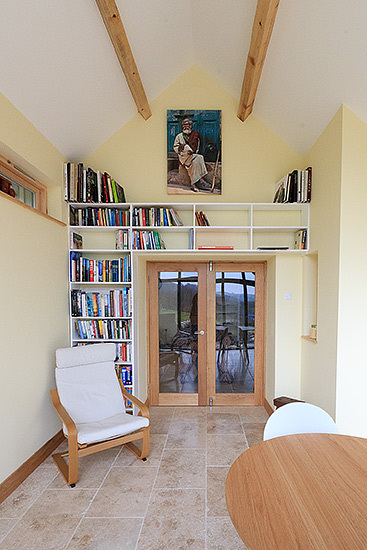 The sunroom also provides plenty of storage for our books. The new ensuite shower room has John’s niches in the wall for shampoo etc as he hates those wire basket things! So there you have it 7 months of building work, a lot of expense but we have a lovely warm environmentally friendly house that we love. Now John just needs to get on with the outside! Hi John & Liz. Gareth and I were talking about you last evening in the pub, got back and lo & behold there was your email. 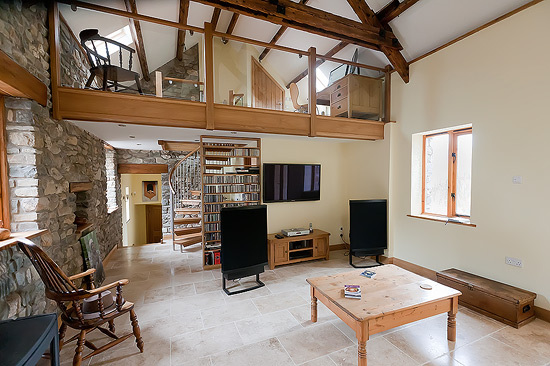 The photos are great and the extensions look good too, as does the kitchen and the living area with the mezzanine. 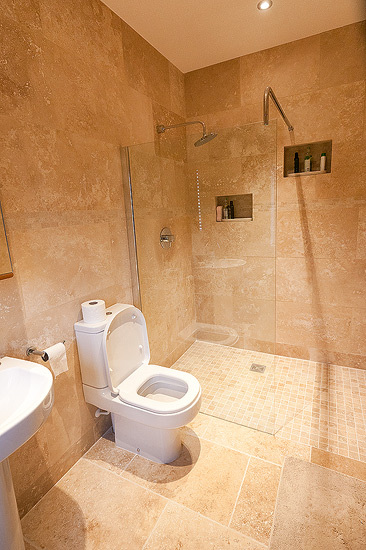 The niches in the bathroom, I remember too. 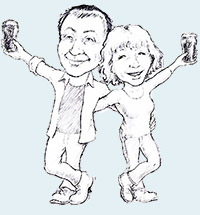 We will get in touch when we are next in Wales and hopefully we can meet up. I am sure that Gareth has written you an email as well.